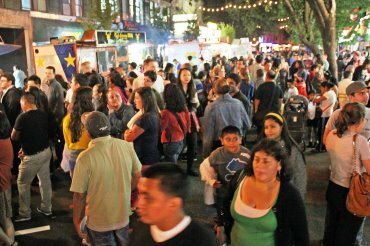 The 82nd Street Partnership, an award-winning neighborhood development group, is looking for partners to sponsor the 3rd Annual Viva La Comida festival which will be held Saturday, September 20th. As Queens’ premier food, music and dance festival, Viva La Comida draws thousands of people of all ages and backgrounds from across New York City. This unique cultural event brings together area residents, visitors, elected officials, civic groups, businesses, press and corporate sponsors for a memorable evening of fun and entertainment. Download a complete Sponsorship packet here. Next post: Back to School Sales!